Leading a company forward is tricky business. You make what seems like hundreds of decisions a day, sometimes without realizing it, and with every decision there is the question “is this what is best for the company?” Sometimes you feel like you are at the bow of the boat, hands forming a brim as you peer into the horizon searching for the future (or one of those pesky icebergs.) Other times you are in the rear of the boat, hands on the rudder, steering furiously and shouting encouragement to everyone who is in the boat with you rowing their hearts out. Sometimes you have the rudder with your feet, oars in your hands, and your neck twisted around with your eyes squinting off into the horizon. If you are lucky, you aren’t bailing at the same time. When you are leading you have to be absolutely committed to doing whatever it takes to get the job done right and for the right reasons. You are in the boat with your people…and your clients. This is why our decision to hang a flag in the entry area of our new offices was one we took very seriously. We’re an American company. Our clients are the Federal Government. We work with, and beside, companies who serve their clients with passion and commitment, just like we do. Not all of them are American companies but they are companies filled with people who come to work each day and do their best. There is no perfect in any of this. Humans are flawed. No country, or ideology, or political system can change this simple fact. What we can do is have hope. We can remember that perfect is the enemy of progress. We can learn from our mistakes (and our successes) and we can focus on being better – as a person, as a company, as a community, as a country, and as a world. Excel Technologies is going to do just that. We are going to continue to believe in our mission, our clients, our country, and our partners. We believe in the opportunity for both service and success and we celebrate the ideals that make opportunity possible for all people, regardless of their race, religion, gender, sexual orientation, or the political party they belong to. We believe that there is strength in diversity, that hate has no place here, and that being willing to speak up, and stand up, for others is innately what makes us American. 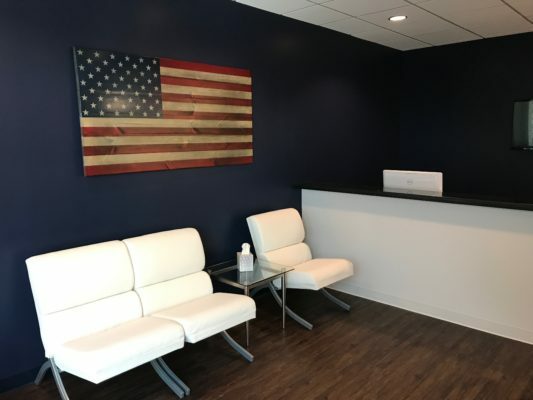 We believe in the future, we have a future, and we are proudly displaying our flag – made by the company Flags of Valor by service disabled Veterans – as a symbol of our commitment to a better tomorrow.